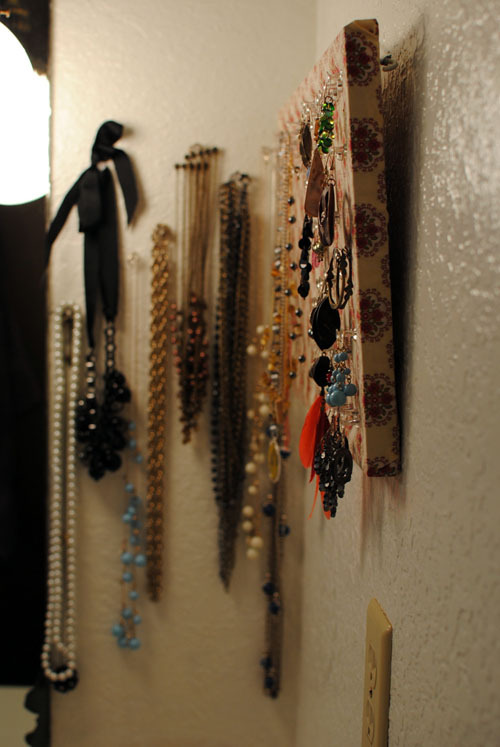 There is no woman or girl who didn`t love jewelry. 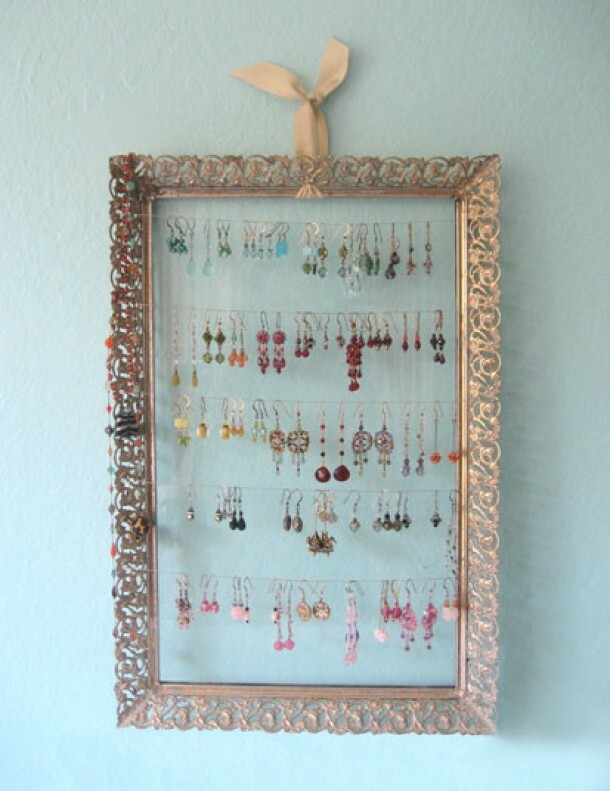 It is good to have a lot jewelry but it is better if you know every time where is your favorite pair of earrings or your favorite necklace. 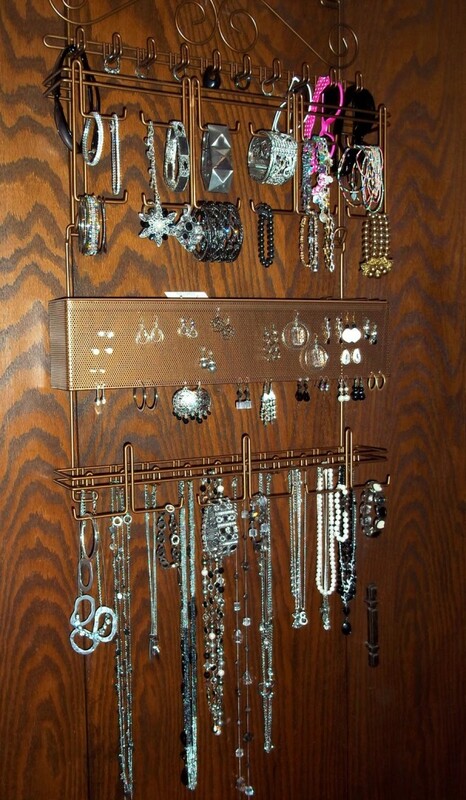 If you keep your jewelry in boxes it is possible to make a big mess and damage or entangled your jewelry. 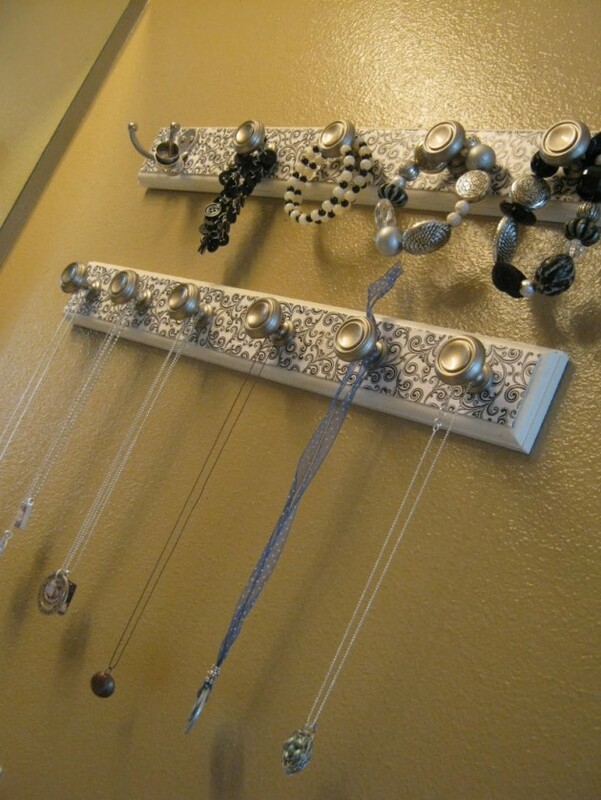 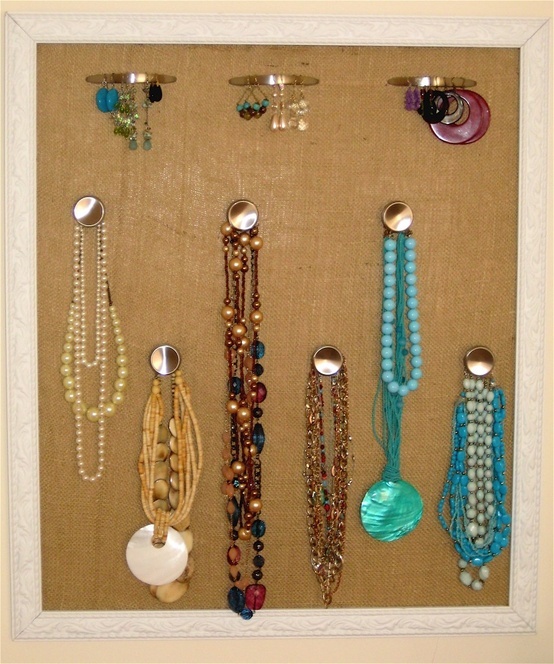 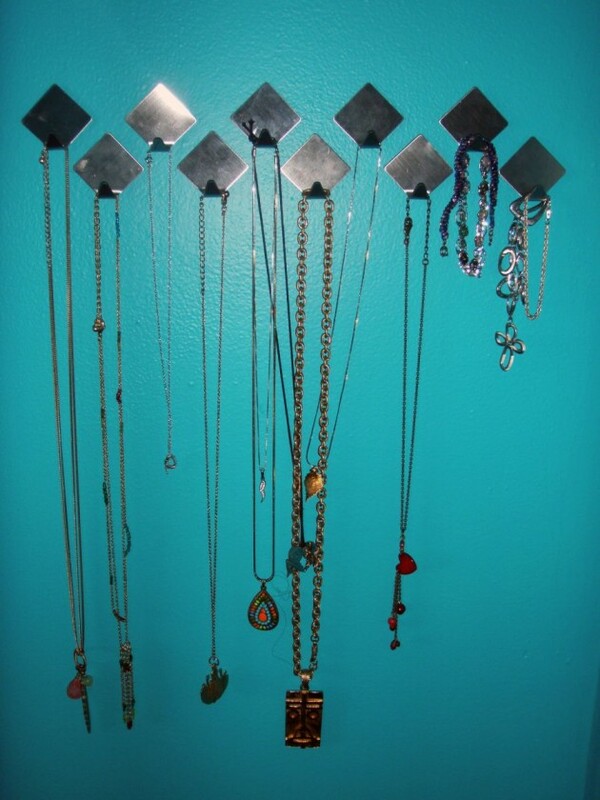 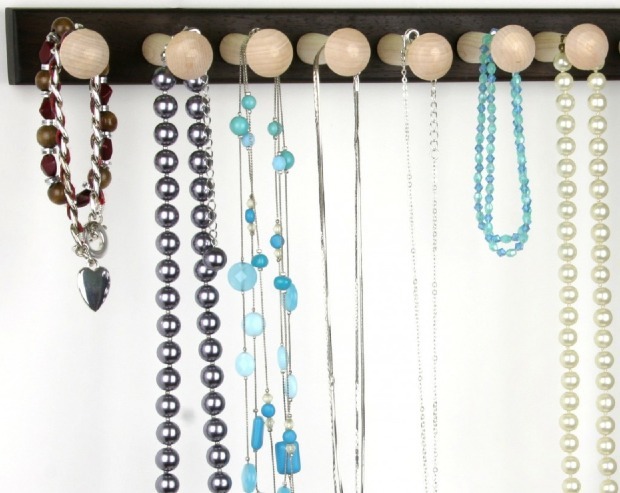 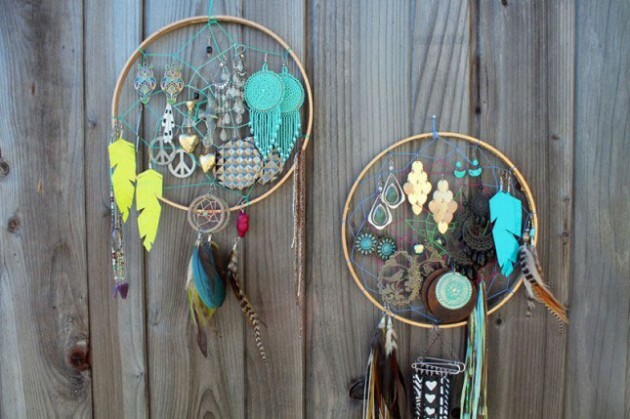 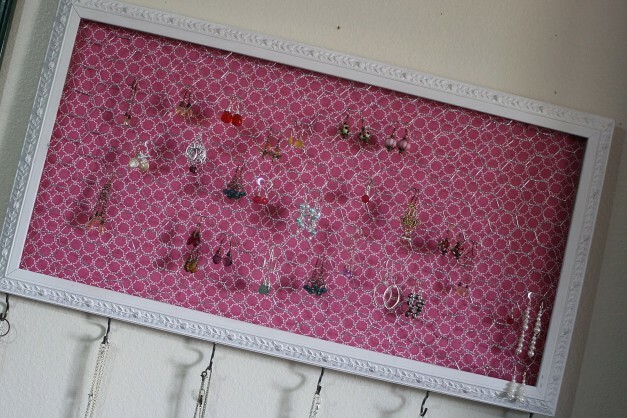 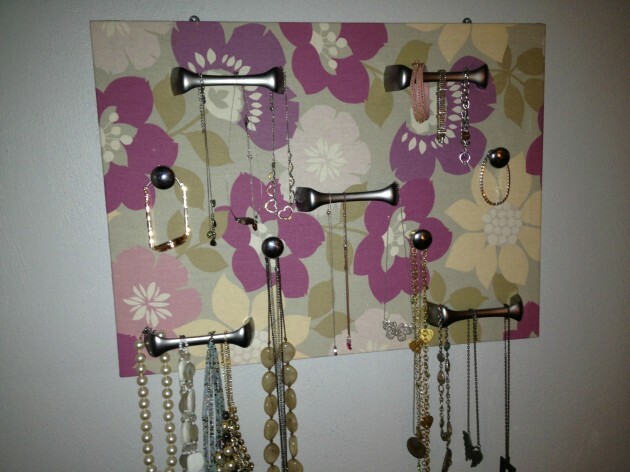 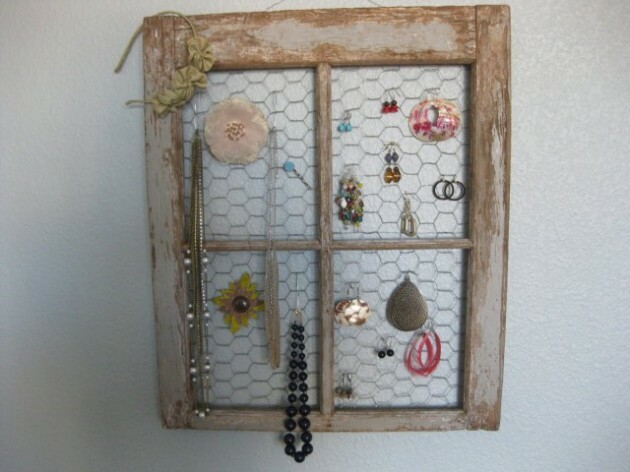 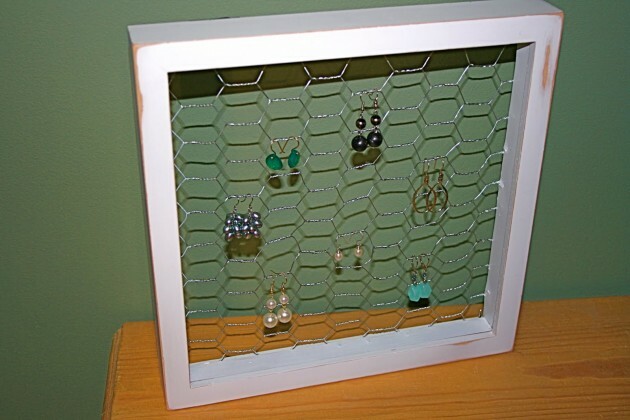 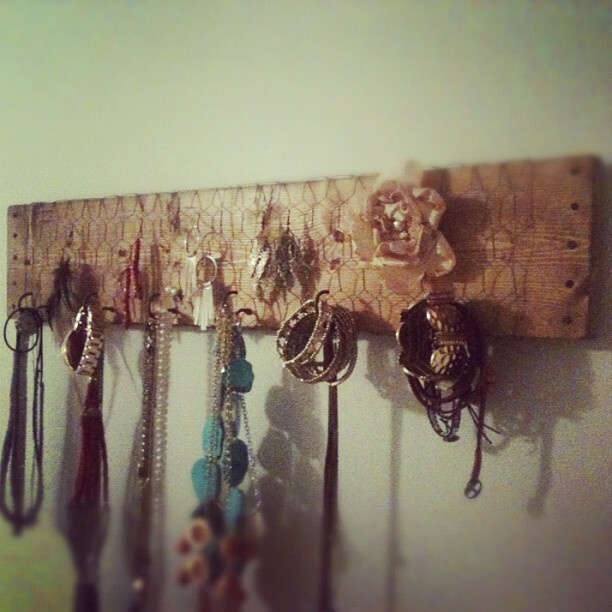 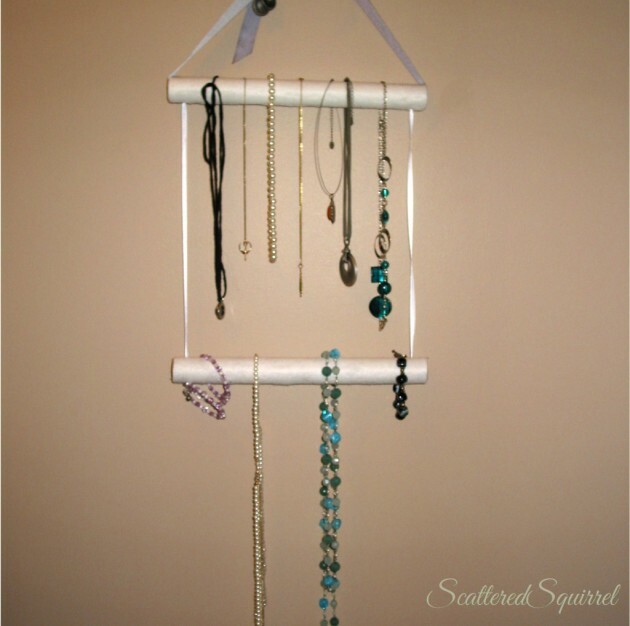 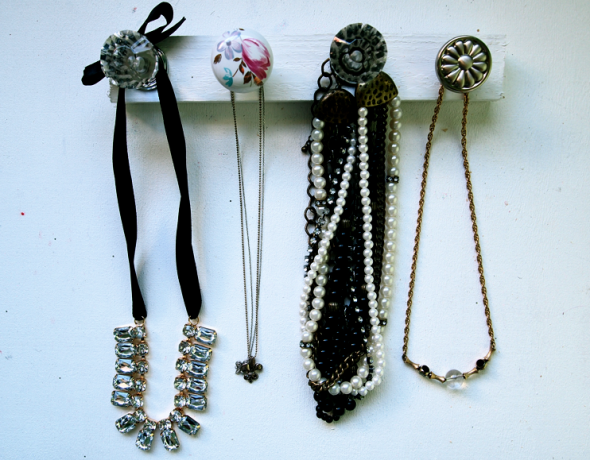 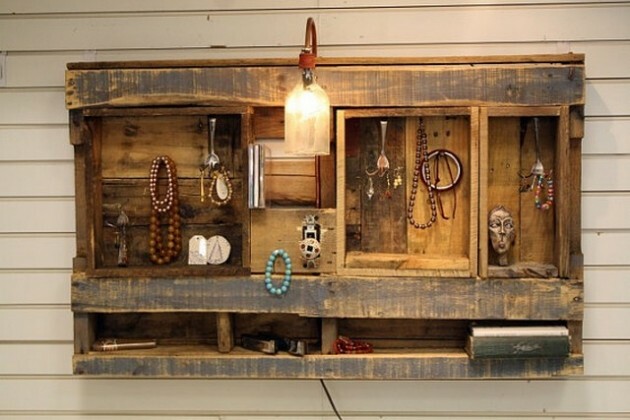 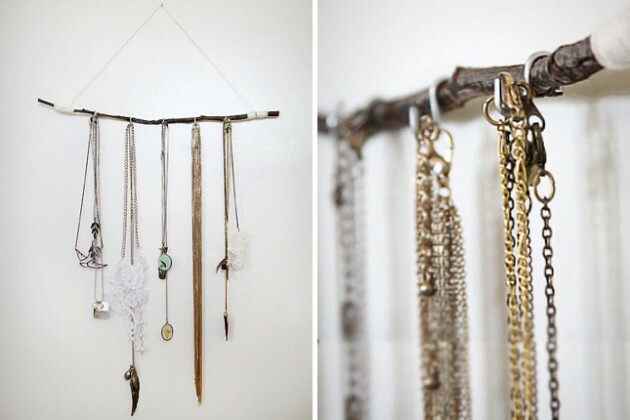 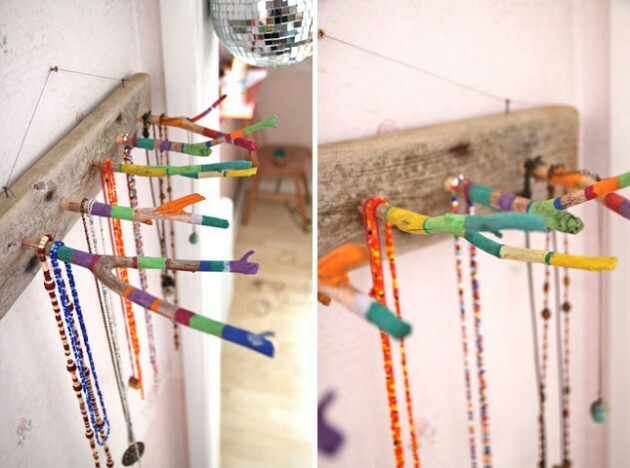 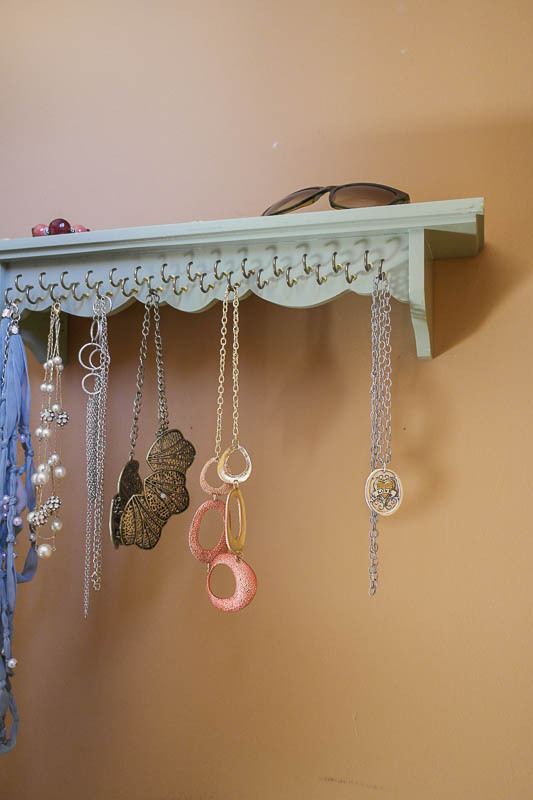 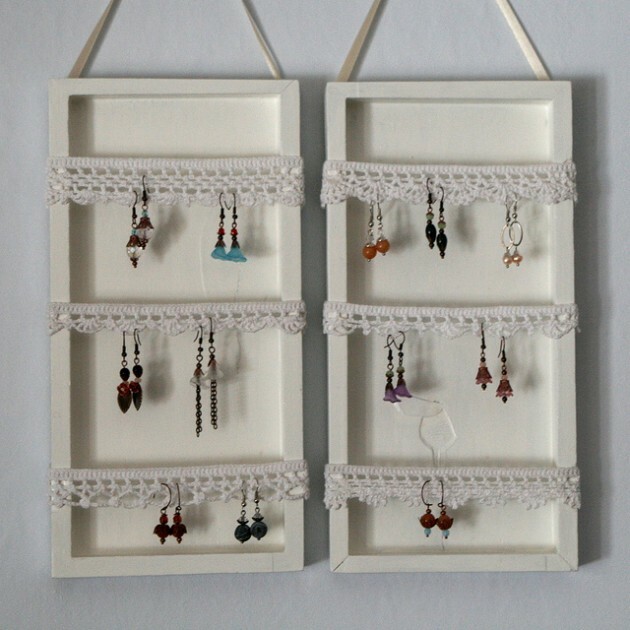 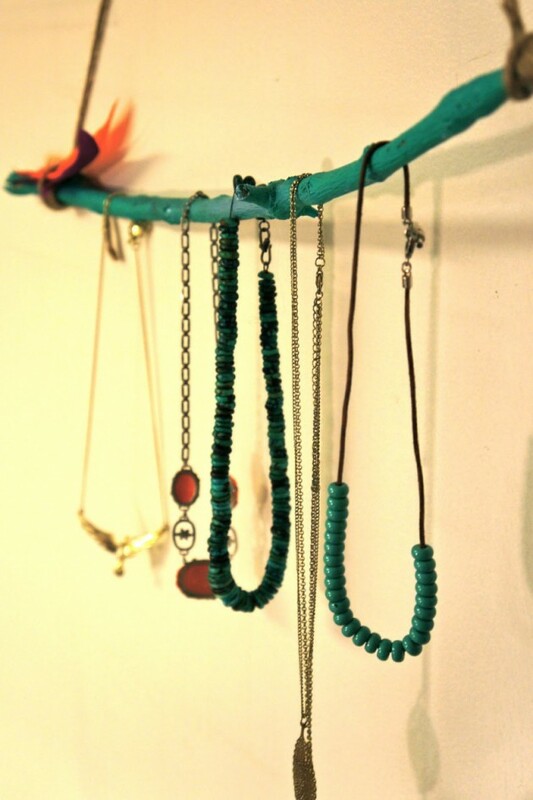 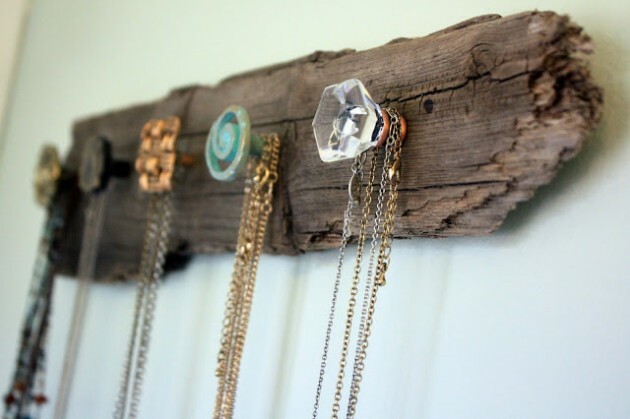 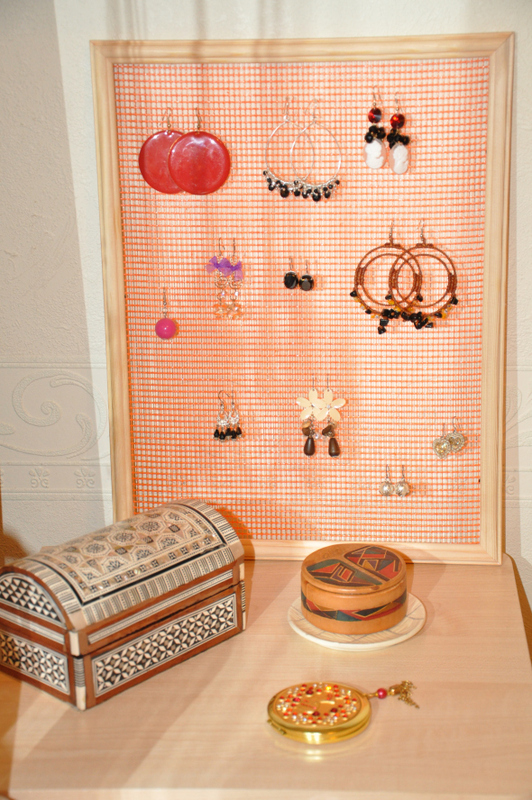 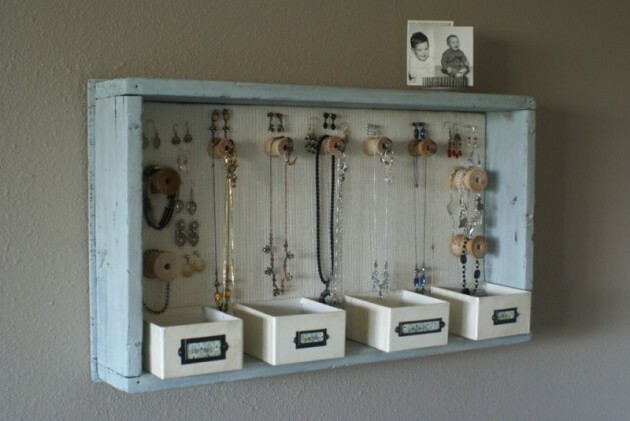 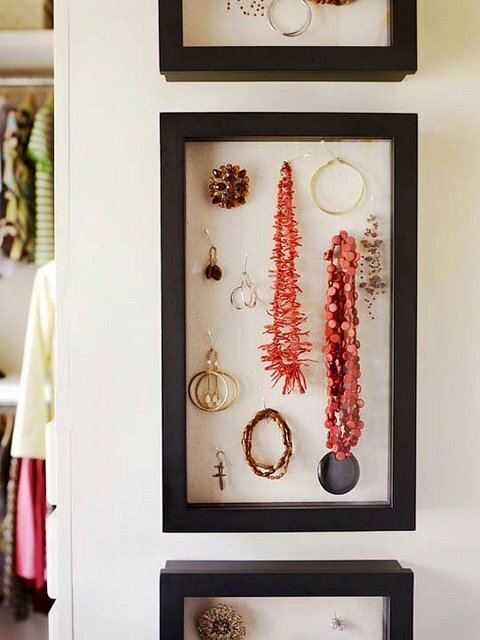 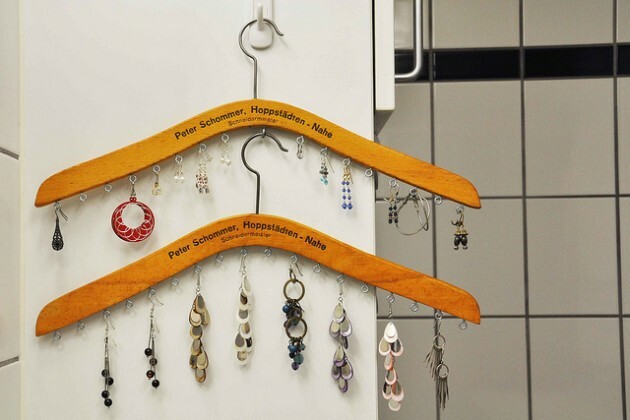 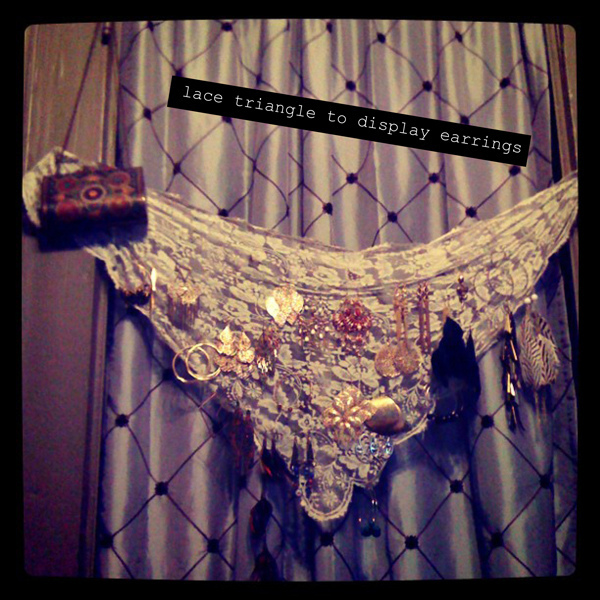 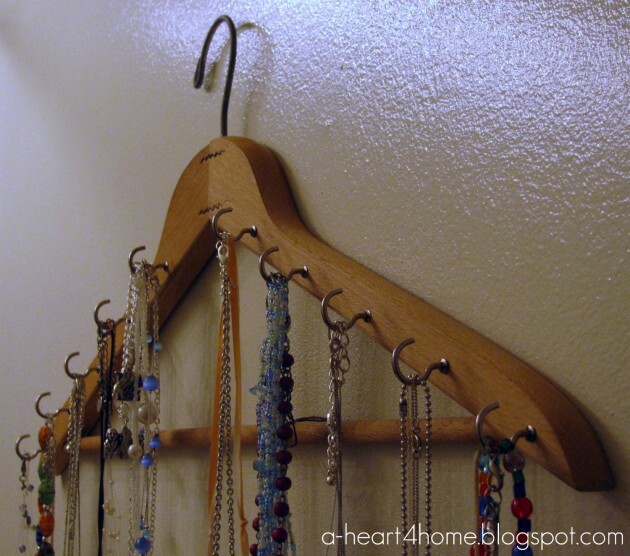 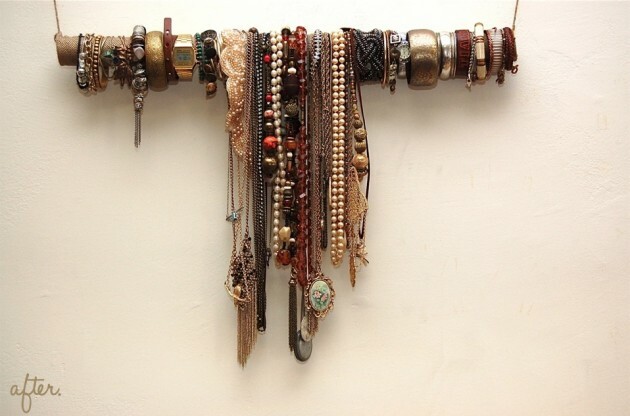 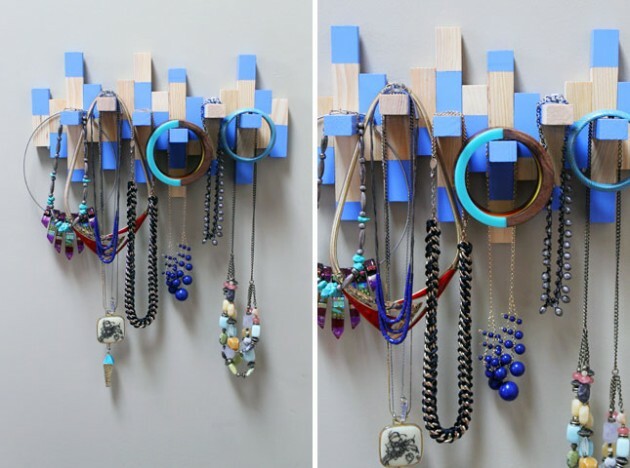 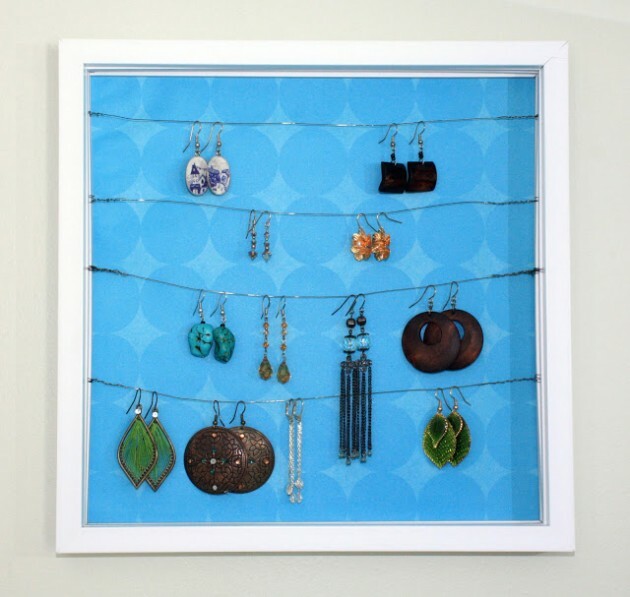 Put an end to your nervousness every time you`ll look for a piece of jewelry- make an impressive wall jewelry organizer. 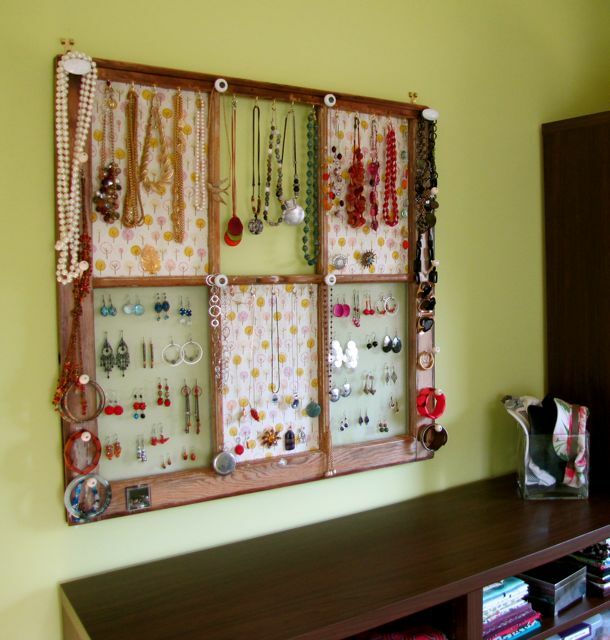 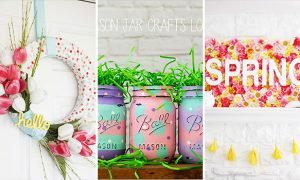 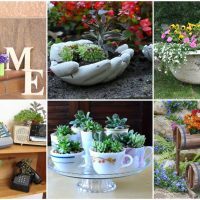 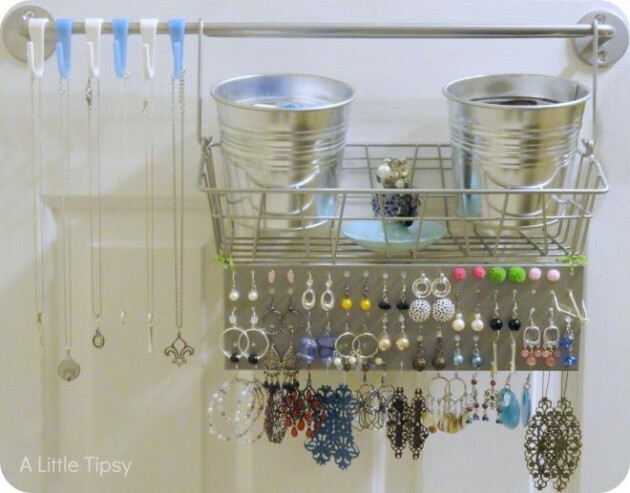 This fun DIY projects are mostly for women, but you can surprise your wife making a wonderful organizer for her jewelry. 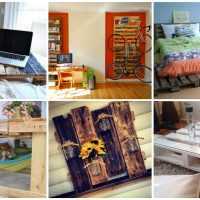 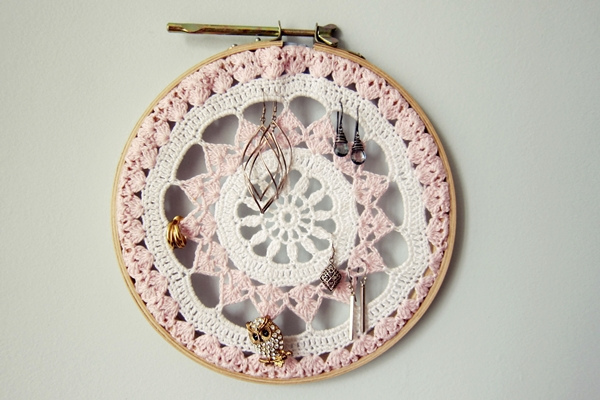 Fill your spare time with something fun and interesting as these creative projects. 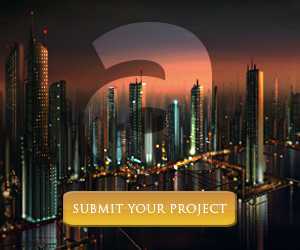 They will not take a long time and will cost you almost nothing. 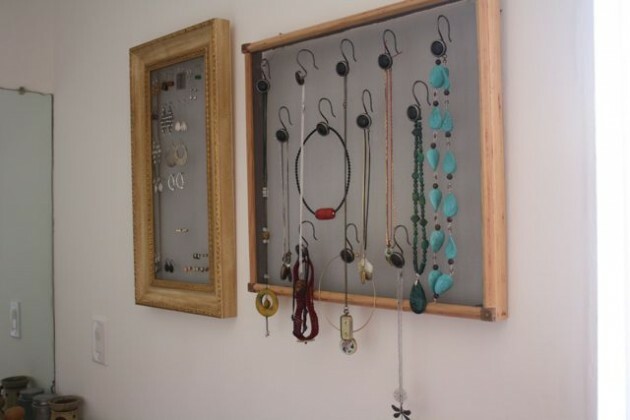 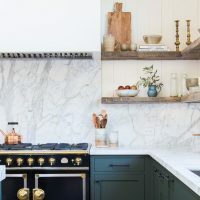 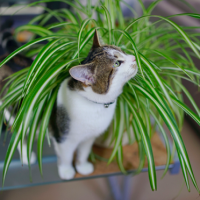 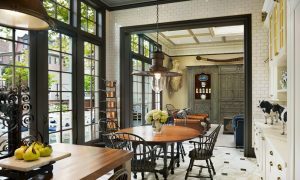 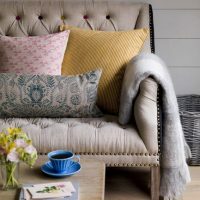 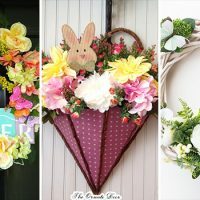 So you will have more benefits- any time you will know where is your favorite piece of jewelry and you will have beautiful decorations on your walls. 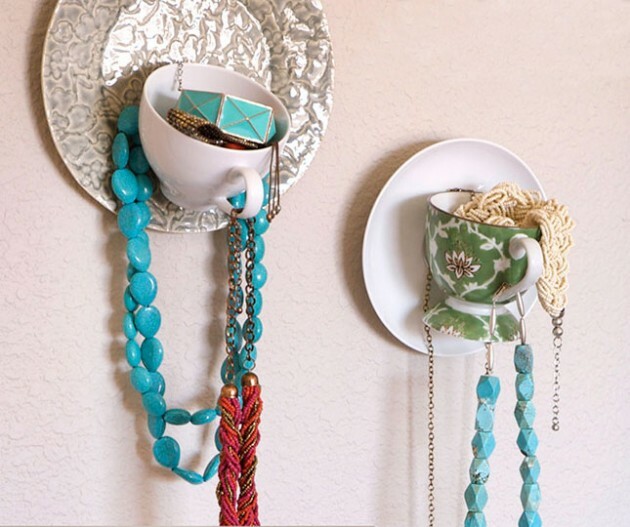 For saving your time and your patience every time when you will need jewelry, all you need is some old unused item, a little effort and imagination.